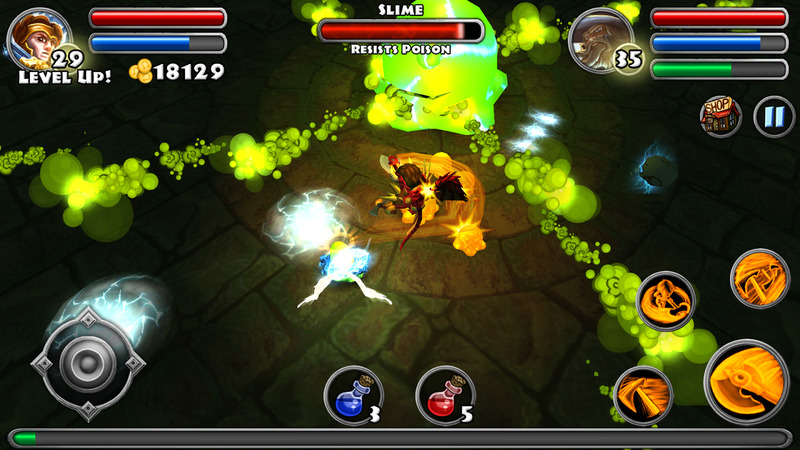 Developer Shiny Box Games worked with Nvidia to enhance its mobile game for Shield and the big screen TV experience. Developer Shiny Box Games’ first mobile endeavor is now available on Nvidia Shield. Todd Daniel, founder of Shiny Box Games, came from the console development community. So he was excited to work with Nvidia to bring Dungeon Quest to the big screen via the Shield and Android TV, which will launch this fall. The developer talks about the new mobile game and its migration to the big screen in this exclusive interview. We wanted to make the game we wanted to play. After close to 10 years of creating games with publishers and all the external pressures that go along with AAA production, we wanted to make sure for our first game as Shiny Box that we'd be making the type of game we'd actually play and have fun with. We also wanted our game to work on a large number of devices and ensure that it was monetized fairly. What’s the storyline in this mobile game world? Honestly, there's not much of a story in Dungeon Quest right now. Since our first release that only had one class, a few weapon types and a simpler item system, we've been responding to player feedback that mostly has told us they just want more of what we have. A quest system and story elements are on our list of updates, but we try to make sure we can create the content our users want to see first and foremost, a story line hasn't been one of those. Can you talk about the gaming experience and how it utilizes tablet and smartphone functionality? 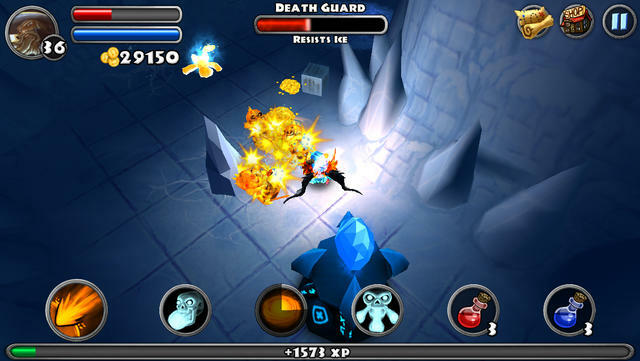 The general experience for ARPGs is fast-paced combat, so the goal for controls is to make sure the player can respond quickly to coming close to death and being able to accurately target their destructive abilities. For this, we implemented various configurations for our virtual joystick and even implemented a Tap to Move control method for larger devices like tablets. We realize neither of the control methods are ideal, so we also took the time to make sure Dungeon Quest is completely HiD controller supported for gameplay and UI. What does your game bring new to the genre? First and foremost our game is free. We don’t want to use the term free to play, or free to enjoy some content here or there. We currently don't have any server-based DRM, you can play our game without an internet connection. Many of the free-to-play games that are currently on the market have various “pay walls” and completion timers that are used to get customer to spend money in order to continue to enjoy the content. We don’t do any of that. We do have ads in our game, but they only occur during floor loading screens. And if you purchase any of our vanity IAPs it will remove all ads from the game. Our monetization strategy was designed solely with our customers in mind. We aren’t interested in maximizing our income at the literal expense of our customer’s enjoyment of our title. We also created a cross platform cloud-based system that will allow our players the freedom to enjoy our game on any device that can play Dungeon Quest. Players can upload their data to our server and can pick up where they left off on another device. What excites you about what you can accomplish in mobile gaming today? Coming from a AAA console background we have always hoped to be able to craft that caliber of game for an affordable price and make it available to as many people as possible. Mobile platforms have made this a possibility. The idea of being on public transportation playing a game on a mobile device and then picking up right where you left off later on my PC or home console device is powerful. It is a feature I’ve always wanted and the technology Nvidia is creating with the growth of the micro console space. The great developer support companies like Nvidia are providing will make this a reality. How do you feel you're pushing things forward with this game? By no means are we reinventing the wheel with this game. I do think we are making it fun, affordable and accessible to play. Our true innovations are found in our player-centric monetization model that is getting rave reviews, and our custom account system that is allowing players to transfer their progress between any Dungeon Quest client. How have you worked with Nvidia on your game? Getting our game ready to for the Shield was a very smooth process. Getting it tuned to feel like a fantastic game experience took time and effort. We worked with Nvidia and they gave us constant feedback and provided invaluable testing scenarios. They really helped us make sure our game was a fluid and compelling experience on the Shield and other stand-alone devices. What have they provided in terms of tech that has helped with development? The Nvidia hardware has been a great tool set to work with. You can load our game up on the Shield side-by-side with other bleeding-edge technology and the Shield just blows them out of the water. The game moves more fluidly, the textures pop and the control experience is peerless for gaming on the go. How does your game make use of the latest Tegra 4 technology? We have the ability to specifically target specific Tegra features when compiling game assets, which ensures a smooth and fluid game experience. How does this impact the gameplay experience across the platforms you’re targeting? Since Nvidia hardware drives so many different products in our mobile space, it impacts each of those devices in various ways. We even see frame rate and performance gains on Tegra 2 hardware. What are your thoughts on Shield? hardware is construed is impressive. Steam makes it possible to carry around my entire PC game collection and play an ton of mobile games when I am away from my home or office. The hardware is awesome. What does SHIELD open up for your game? Portability and the ability to play the game as it is meant to be: with great controls and on a nice HD screen. What are your thoughts on Nvidia Tegra K1 technology? It’s the future. It will offer a unified graphics platform/pipeline that developers can confidently use to create cross-platform content that will perform as developers intend it to, regardless of the platform it is used on. What does Tegra K1 add to the equation for big screen gaming experiences? Power and an equal development platform to start work from. 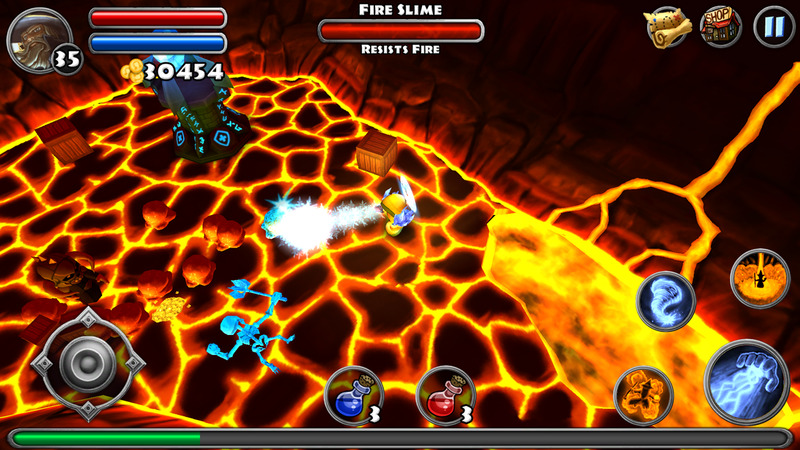 How do you see mobile gaming evolving moving forward with mobile technology advancing and migrating to the big screen? Content will be king. Customer interaction and an open feedback loop will allow developers to cater their content to an audience that wants to play it…and now will be able to do so on any device they choose. The newest GamerHub interview is here! CS:GO Pro gamers explain the importance of audio in eSports and why they choose Hyper X at the MLG Columbus Major. Console baseball game swings for the fences on Nvidia Shield with new content. An exclusive interview with Lucid Games on Geometry Wars 3: Dimensions for Nvidia Shield gamers.